Social Media sensation Tik Tok has recently introduced a new age bar for its new users on its platform, which will be allowing people over the age of 13 years to create an account on its application. Tik Tok has removed over six million videos in India which violated their community guidelines since July 2018, the company said in a press release. Tik Tok commented that it was a part of their ongoing efforts to make its millions of users feel safe, protected and comfortable within the community by empowering them with the right tools and resources. “As a global community, safety has been one of TikTok’s key priorities. The launch of our age-gate feature in addition to our existing take down of content that violates our Community Guidelines reinforce our ongoing commitment to ensure that our platform remains a safe and positive space for our Indian users and we discharge our obligations under the Intermediary Guidelines of India, in a meaningful manner. We are looking forward to introducing more relevant features and initiatives to help Indian users be safe and continue to enhance their experience with TikTok,” Helena Lersch, Director, Global Public Policy, TikTok said in a statement. Due to lots of issues and warnings from government of India and Courts TikTok Safety Center and resource pages tackling anti-bullying in Ten major local languages – Hindi, Gujarati, Marathi, Bengali, Punjabi, Telugu, Tamil, Kannada, Malayalam and Oriya which also links to the website of the Election Commission of India (ECI) and the cVIGIL app. 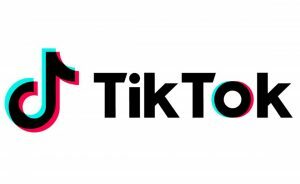 Tik Tok has been fighting several legal issues and battling in court for its survival and avoid ban in India. The Madurai bench of Madras High Court on April 3 had directed the central government to ban the mobile application as it voiced concern over the “pornographic and inappropriate contents” being made available through such apps. Following this, China’s Bytedance Technology Co, which owns Tik Tok said that Madras High Court’s call for a ban on the app will harm freedom of speech rights in the country.